Tom Luetkemeyer concentrates his practice in the areas of labor and employment law and corporate health care law. Mr. Luetkemeyer represents management employers around the country in the full range of labor and employment matters. His practice includes work before federal administrative agencies such as the EEOC, the U.S. Department of Labor, the OFCCP and OSHA. He regularly appears before state agencies with jurisdiction over employers, including the Illinois Department of Human Rights and other similar state agencies with responsibility for enforcing laws prohibiting discrimination in the work place. He regularly defends employment litigation matters, and has defended complex discrimination class actions and wage/hour collective actions. Mr. Luetkemeyer also is involved with state departments of labor and other similar agencies. He represents employers in a variety of union-related concerns, including organization drives, collective bargaining, strikes, secondary boycotts, decertification and administrative hearings before the National Labor Relations Board. In his health care practice, Mr. Luetkemeyer regularly represents hospitals, group practices and individual physicians in general corporate matters. He advises clients on organizational and structural issues concerning joint ventures, sales of operating entities, physician recruitment, fraud and abuse, Stark I and II, tax exemption issues, shareholder relations and executive compensation. Mr. Luetkemeyer frequently appears before a variety of Illinois administrative agencies, including the Illinois Department of Professional Regulation, the Illinois Department of Public Aid and the Illinois Department of Public Health. Mr. Luetkemeyer is an Adjunct Professor at Loyola University of Chicago School of Law and teaches labor law, employment law and employment discrimination. 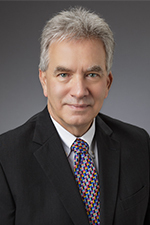 Mr. Luetkemeyer joined Hinshaw & Culbertson LLP in January 1985. He serves as the in-house counsel on the firm's employment matters. Mr. Luetkemeyer frequently speaks to educational, business, legal and professional association audiences on labor and employment and health care topics, including wage and hour issues and sexual harassment. He also speaks on the impact of other state and federal laws affecting the employee-employer relationship. "The Basics of Employment Law," American Institute of Architects, Chicago, Illinois, May, 2009. In new Guidance, DOL gets Aggressive on "Joint Employment"